Looking for quality repairs to your home or business after these summer storms? The weather around the midlands has been crazy the last week. These storms have been coming in from out of nowhere, with high winds and lots of warm rain, the perfect recipe for exterior storm damage. 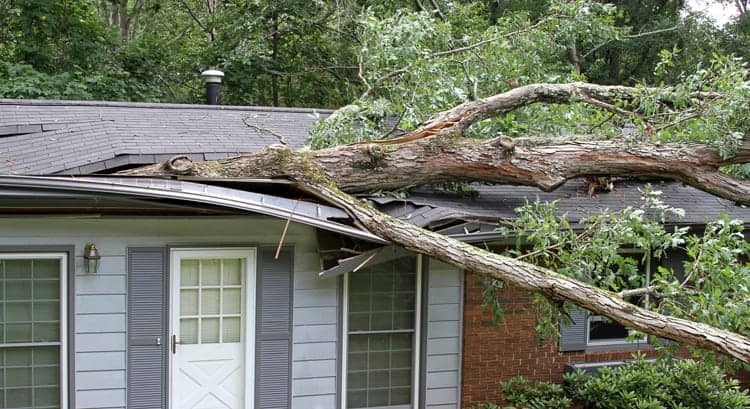 We at Rennison hope your home or business is spared from falling trees and blown away shingles, but if you do have some costly storm damage call us first. Here is why. Some companies may give you a quote prior to even doing an inspection, but that quote often goes up once the repair has been completed due to more extensive than anticipated. We handle this process a little bit differently. We do a full inspection of your roof or damaged exterior and then we give you a quote based on known damage and needed repairs. A free inspection is important because it will give you a better idea of what damage may be covered by insurance as well as what the overall cost to repair will be. With storm damage, this might be your first time ever having to make a Home Insurance Claim. It can be a confusing process and they may ask you questions that if you answer wrong can prolong the claim process or worse, get your claim denied. We at Rennison Roofing have helped many families throughout Columbia and Lexington South Carolina through storm damage insurance claims and we can help you as well! Allow us to help guide you through the process by meeting with your adjuster, handling all subcontractors involved in the repair and making sure you get the most work covered for your “out of pocket” deductible. If insurance won’t cover your damage, we do offer excellent finance options through GreenSky. Find out more about the pitfalls of Roofing Insurance claims with this article by our friends over at Angie’s List. The most important reason to choose Rennison Roofing for your storm damage repairs, is our quality is second to none and back by exceptional warranties. We are fully licensed and insured in residential and commercial roofing as well as exterior repairs or replacements. Awarded the Super Service Award by Angie’s List for the last 6 years, our service is so good it speaks for itself.